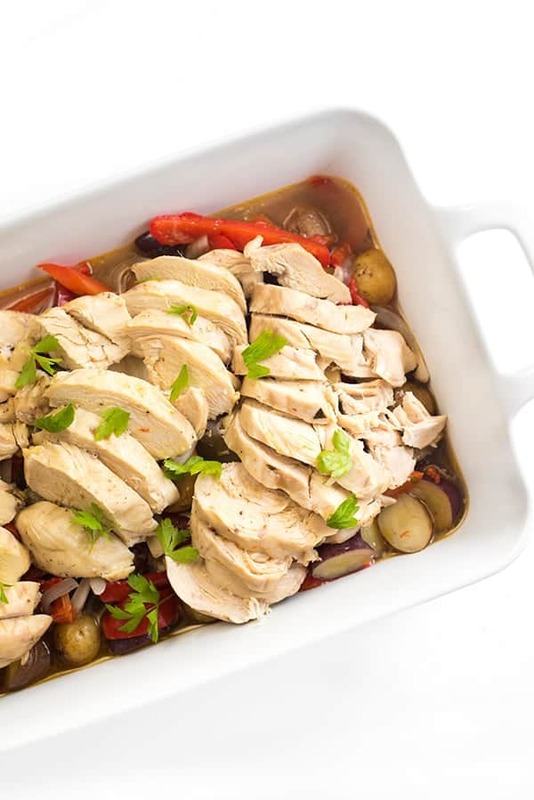 An easy, one-pot meal, your entire home will fill with aromas of cinnamon, garlic and rendered butter while this Slow Cooker Chicken and Vegetables practically cooks itself. One of my favorite things to do in the kitchen is to take the best recipes from my childhood and turn them into an easy, weeknight meal. While these family classics aren’t exactly difficult, they can be a bit time consuming and require a bit too much hands-on time for my liking. 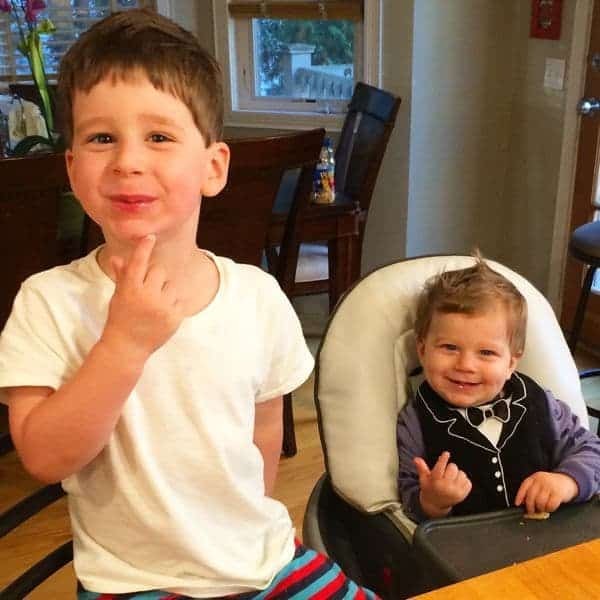 With two very active boys always getting into trouble, I have been relying on the slow cooker more than ever before. In fact, I pretty much always have to lock Jacob into the high chair if I need more than a minute in the kitchen because he is moving around so quickly these days! It’s too bad they aren’t cute. Or smiley. The inspiration for this dish is my mom’s famous roast chicken made with a good sprinkle of cinnamon. 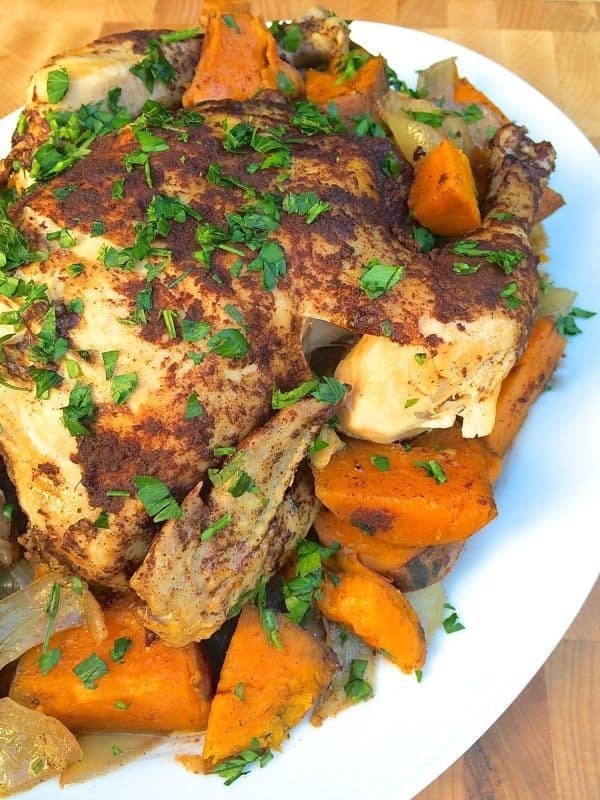 As the dish cooks, the entire house permeates of roasted chicken and warm cinnamon. It is to die for. My mom typically makes this with olive oil but I was feeling a little naughty and decided to use some of my Aunt Paula’s famous clarified butter that she gifts us every year at Christmas. As the chicken roasts, the vegetables on the bottom are seasoned with all of the cinnamon-and-butter-spiked juices of the bird. Whole garlic cloves slowly caramelize into sweet and tender roasted bites of goodness. If you have two slow cookers, I highy suggest making a double batch. There won’t be leftovers. 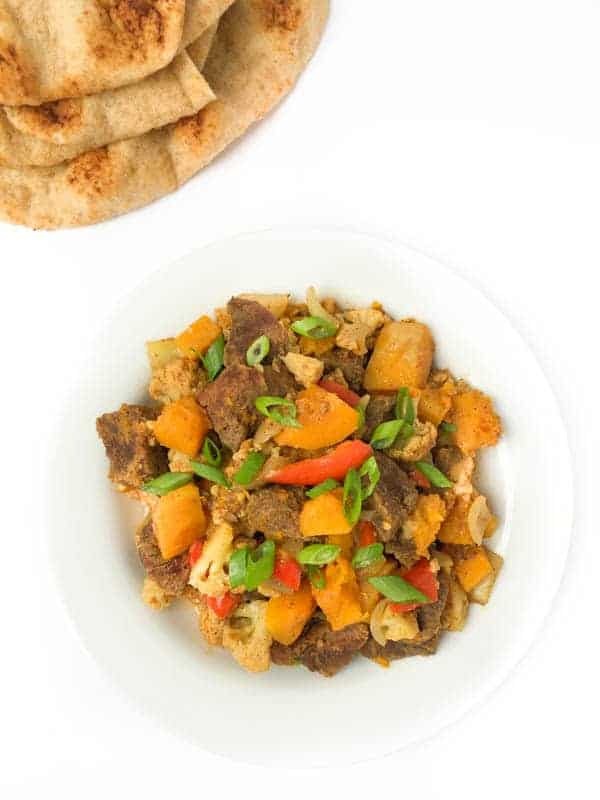 Toss the sweet potato chunks, onion wedges and garlic cloves in the bottom of a slow cooker and sprinkle with half of the Lebanese spice blend (1 tablespoon). 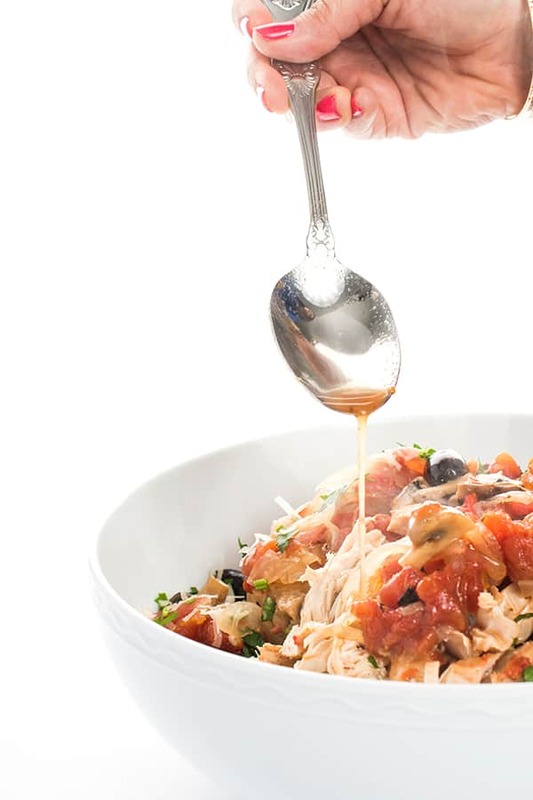 Place the chicken on top of the vegetables and pat dry with a paper towel. Rub the chicken all over with the clarified butter. Sprinkle the remaining Lebanese spice blend (or cinnamon) all over the chicken so that all pieces are evenly coated. Serve with fresh parsley on top. Trying to tell form your pictures, but not sure. Did you remove the skin on the chicken before cooking, or leave it on? Looks like a great recipe to try! I’ve done it both ways and either way works!! Hi – I’m making this today and can’t wait to have the scents permeating our apartment! Should I peel the sweet potatoes of leave the peel on? Thanks! Either way works!!! Peel = more nutrition! What did you think? So glad you enjoyed it Marcy! Sorry to say it was bland, smelled yummy but very little taste. For my family it requires more complex flavors-would not make it again. Can I prep this the night before and put it on in the morning before work? Or will the yams go brown? Thank you! I am a slow cooking fool lately!!! So great to hear from you friend – I hope our paths cross again soon! Okay, my mouth was watering as I read this. Chicken and cinnamon are so good together. Plus it is slow cooker time!!! Your boys are adorable! 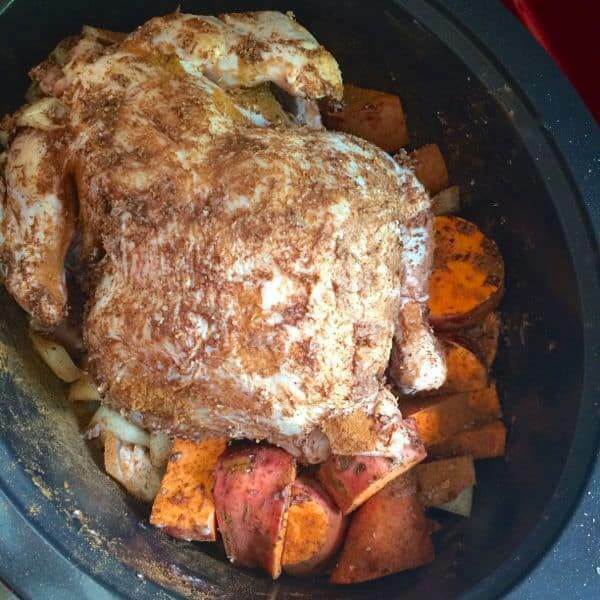 Love this easy slow cooker meal – that touch of cinnamon had me! Aww thank you so much Jeanette!! Your boys are so cute! 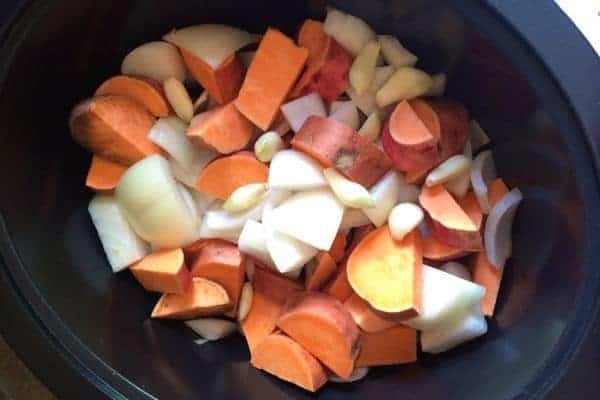 I need more slow cooker meals like this. My family will love it! Thank you so much – they crack me up!! Absolutely love this, especially the flavors!! The perfect weeknight comfort meal for the family. Thanks so much Matt- the cinnamon takes it to the next level! Yes, I love this chicken. And can I have a bite of those dimples? You can have two bites of dimples Norma! This is way too pretty to be so easy! Your boys are adorable! This looks amazing Liz!! Can’t wait to try it. 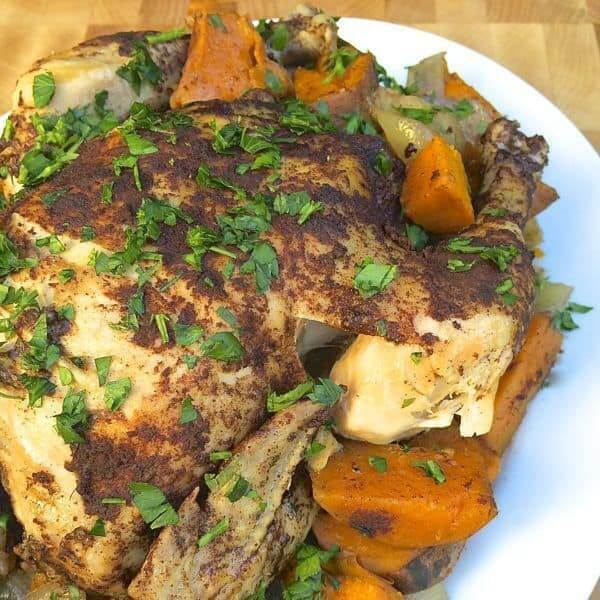 Made a spiced whole roasted chicken kind of like this last night. Sooo good. Can’t beat a whole chicken! You can not beat a whole chicken. Love that you did something similar! Mischievous is an understatement. ;) So great seeing you this weekend! Have mercy this looks fantastic!! I want to smell this wafting through my house all day long! 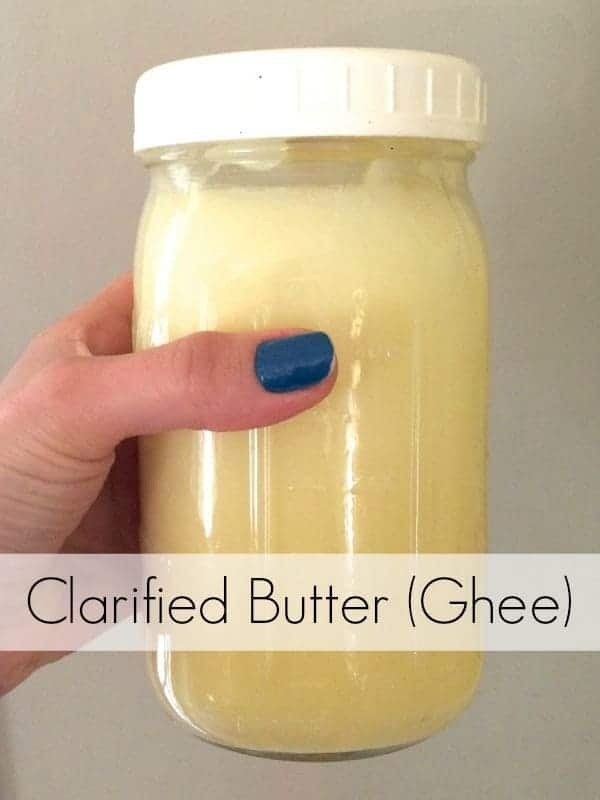 Aww I want an Aunt Paula to gift me ghee at Christmas time! I love that. :) I love the looks of this recipe, too. It’s one that would make my whole family happy and without much time in the kitchen. Gotta love that! The smell was unreal Katie – butter + cinnamon + chicken = heaven.